Round circular painting panels made in any size by Art Boards™ Archival Art Supply. Round circular painting panels made in any size by Art Boards Archival Art Supply. Made by Art Boards™ Archival Art Supply. 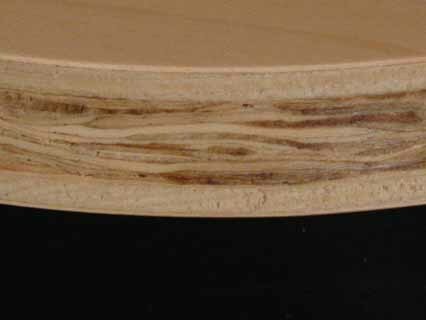 The circular wood painting support has a perfect round edge. The round art panel is 3/4 inch thick. There are five layers of wood in its construction. The internal core consists of three layers of Aspen hardwood. And on the front and back is a natural maple hardwood veneer. Art Boards™ Round Painting Panels are fully sanded and ready for Art Boards™ Panel Gesso. The panel back has a recessed slot to hang the painting flush to the wall on a single nail or screw. The Panels are the ideal painting support for making round paintings.